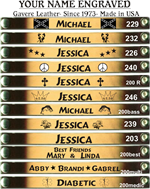 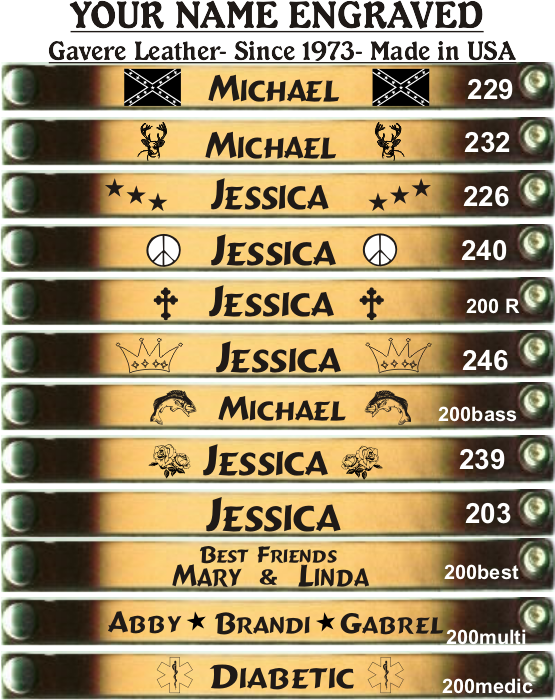 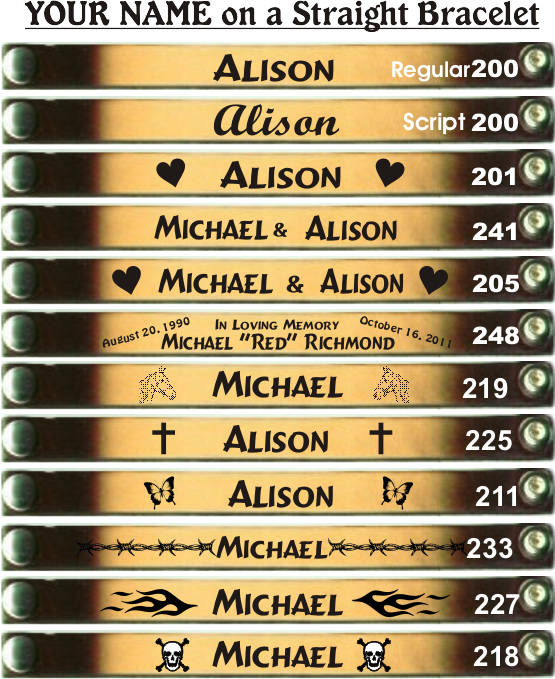 Home > LEATHER BRACELETS > NAME BANDS-5/8"
Straight name bands are 5/8" wide and come in five sizes. 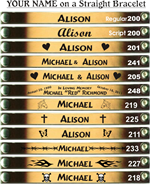 They are airbrushed with dark brown edges with lighter center so the name shows nicely against light background. 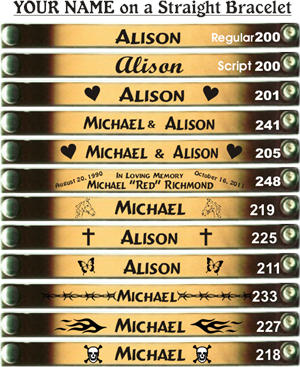 Top grain lightweight cowhide finished with durable snaps.